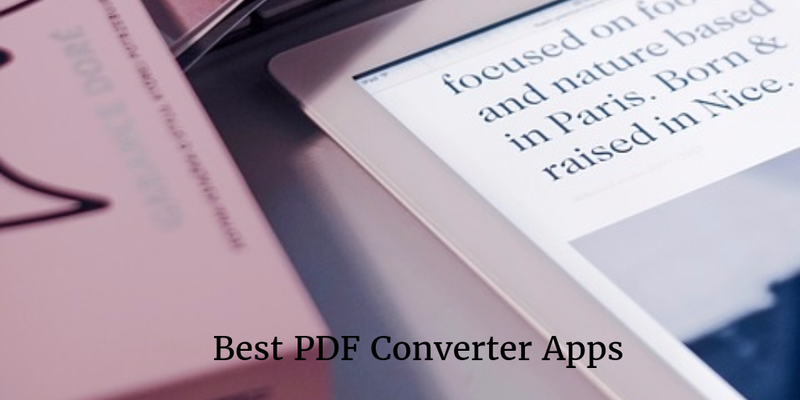 Are you searching for the best PDF converter apps for your iPhone and iPad? If yes, you can download the best pdf converter apps from this apps list. 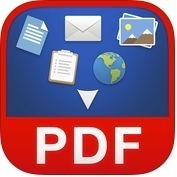 In this apps list, you can see 7 best pdf converter apps for iPhone and iPad. With the help of these best pdf converter apps, you can easily create PDF from other formats and create PDF forms, you can convert PDF to images, word, excel, PPT, EPUB and more formats, you can mark up and annotate PDF files with multiple markup tools, you can combine multiple files into one PDF and split PDF into several files, you can convert PDFs into other file formats and, you can also add your comments to documents sent to you by co-workers. 1. Able2Extract - PDF Converter with OCR ( iPhone + iPad ) :- Able2Extract is one of the best and popular PDF converter with OCR apps for iPhone and iPad. 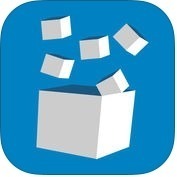 With the help of Able2Extract app, you can convert or scanned PDFs to editable Microsoft Excel, Word and Power Point documents, you can convert PDF to images and AutoCAD files, you can import and convert files from your iOS devices, email, or other online storage services like Dropbox, Google Drive and OneDrive, you can easily open and edit converted file in other apps or upload it Dropbox, OneDrive and other storage services and, you can import the file into the app, preview its contents and choose the format for conversion. 2. 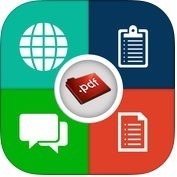 PDF Converter by Readdle ( iPhone + iPad ) :- With the help of PDF Converter by Readdle app, you can convert PDFs from any file that you have on your iPhone or iPad, you can save word, excel, powerpoint or iwork documents, web pages, photos and even clipboard content as professional quality PDFs, you can convert files stored in iCloud Drive folders of other apps and share PDFs between apps, you can convert web-pages from Safari and photos from photo library without open PDF converter and, you can do much more. 3. PDF Converter Ultimate - All In One Converter ( iPhone + iPad ) :- PDF Converter Ultimate is one of the best, powerful and user-interface apps for iPhone and iPad users. With the help of PDF Converter Ultimate app, you can easily conert PDFs to text, word, excel, JPG, powerpoint, AutoCAD files and back to PDF, you can import files from Dropbox, Google Drive, Gmail, and other cloud services. Scanned and complex PDFs can be converted due to OCR technology. 4. 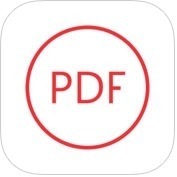 PDF Converter - Convert documents, WebPages TO PDF ( iPhone + iPad ) :- It is one of the advance featured and user-friendly PDF converter apps for iPhone and iPad users. With the help of PDF Converter app, you can convert photos, images, contacts and text messages in PDF files, you can merge PDF documents into single PDF document and, you can also send files to iBook, GoodReader and PDF Reader. 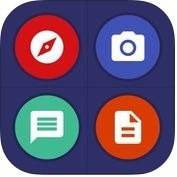 This app has lots of unique features such as easily convert to PDF- documents from iWorks and MS Office, Web pages, Emails and Email attachments, photos & pictures, clipboard content, text messages, Dropbox content, share PDFs and, much more. 5. 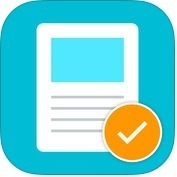 PDF it All : Document Scanner Printer & Converter ( iPhone + iPad ) :- If you want to use one of the best PDF converter apps on your iPhone and iPad, you have to download and install PDF it All app on your iPhone or iPad that lets convert documents, photos, messages, contacts, web pages, and emails into PDF files. With the help of PDF it All app, you can scan your documents with powerful scanner, you can convert office and iWork documents right from the app, you can convert messages from iMessages from iMessage, Facebook, WhatsApp anything, you can keep a copy of your iDevice contacts and share them through email, you can write your own PDF page with Text Editor, you can easily create white and black documents and, it can also converts your web pages to PDF to save them for offline reading. 6. InstaWeb: Web to PDF Converter ( iPhone + iPad ) :- Do you want to use a powerful tool for iPhone and iPad to covert any website to PDF quickly, anytime? If yes, you have to download InstaWeb PDF converter app on your iPhone or iPad. With the help of InstaWeb app, you can share your PDF through email, Dropbox, SkyDrive and Google Drive, you can save every PDF on your device and organize them using folder structure, you can convert your clean article to PDF for offline reading, you can preview the webpage using the in-app browser, you can read your PDF within the app using the built in PDF viewer and, InstaWeb app can also convert any website to PDF using the built in browser. 7. 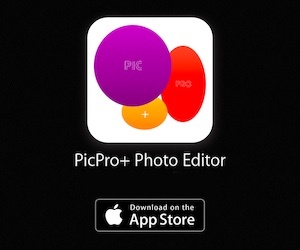 PDF Photos: Picture to PDF, JPG to PDF, PhotoGrid ( iPhone + iPad ) :- With the help of PDF Photos app, you can easily convert to PDF to easily share photos with friends and colleagues, you can choose photo layout, add photos, preview then share PDF, you can create your own custom PhotoGrid layouts, you can add cover page, header and footer with your name and logo, you can convert JPG to PDF to easily print one or more photos on a page, you can convert JPG to PDF to share photos quickly with a smaller file size and, you can save and share anywhere.